As the humidity exceeds the average limit in Dubai, Abu Dhabi, the discomfort level tends to increase which then causes bad health problems and damages to furniture and expensive items. To get rid of humidity and its dangerous consequences, you should always choose the best dehumidifier, as it eliminates the excess humidity content from the air and makes your life healthier. Choosing the best dehumidifiers for homes and offices is always a bigger task. Here, we have explained to you the clear details of choosing the Best Dehumidifier in Dubai, Abu Dhabi, and UAE. 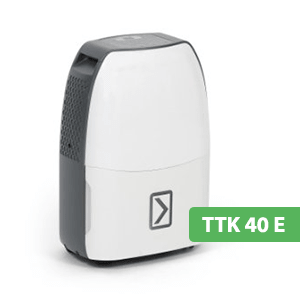 The first in the list is TTK 40 E. It is a small stylish Dehumidifier that accurately dehumidifies the moisture content in the air and gives you total protection from humidity. Equipped with a 2-Stage fan and Hygrostat, this Dehumidifier can efficiently remove moisture content. The TTK 40 E Dehumidifier has dehumidification capacity of maximum 14 liters/24 hours. TTK 40E is a light weight and space-saving model which makes it a perfect device to keep in your room and offices. This Condensation Dehumidifier DH15 has extreme high dehumidification performance. The dehumidification capacity of this device is maximum of 22 Liters/24 hours. It comes with great multiple features that eliminate bacteria, dust, moisture, odor content and pollution from large room areas. One impressive feature of this device is that it can be wall-mounted and can be used for large room areas, large offices or homes, spas and so on. The front plate of the device comes in a different color range which can be fixed easily to suit your mood. Designed with advanced features, this device can be used for different applications. It can be used to dehumidify the air in a place where precious things and valuables are kept, such as antiques, chrome jewelry in art galleries. It can also be used in museums, libraries and so on. This is the high-performance Industrial Dehumidifier superiorly designed with advanced technology optimum features. With powerful dehumidification capacity of maximum of 150 liters per day and built with strong sheet steel. 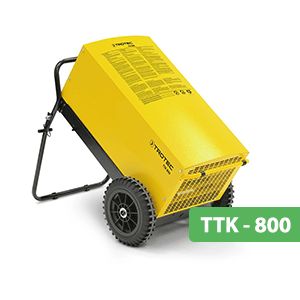 This professional Dehumidifier TTK 800 is perfectly suitable for housing, construction and industrial purposes. Easily transported in any position. Powerful and professional are the synonyms of this comfort Dehumidifier. 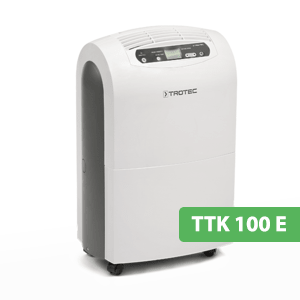 This portable Dehumidifier model TTK 100E has great dehumidification capacity of maximum of 30 liters per day. It has a digital display to set the desired humidity level and is also equipped with the two staged fans. 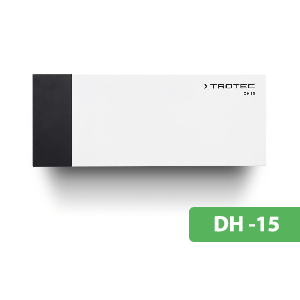 TTK 100E has adjustable hygrostat for continuous monitoring of humidity. Humidity Range: 40 to 100% R.H.
TTR 300 is a Mobile Desiccant Dehumidifier which performs brilliantly even in fewer dew points. It has dehumidification capacity maximum of 16.8 Liters/per day and 0.7 Liters/per hour. It is perfectly suitable to reduce humidity at low-temperature areas such as walk-in freezers, cold freezer and during the extreme winter. 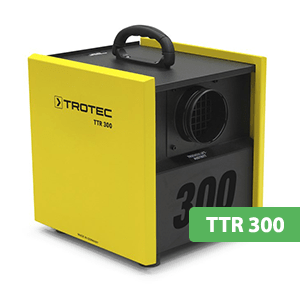 This portable dehumidifier TTR 300 can be kept in places such as store rooms and production areas where the humidity range is more than average. Having a best dehumidifier will reduce the chances of health issues, damages to furniture, homes and so on. Vacker Global offers world class dehumidifiers for your commercial and industrial purposes.